Christie Brinkley CLOSE UP- Does it work? Christie Brinkley- can you believe she is 61 years old? Wow! Christie Brinkley Authentic Skincare is cruelty free! Get camera ready in a flash! An instant treatment that tightens the look of skin while firming and smoothing the appearance of crow's feet, fine lines, and wrinkles. Use around eyes, mouth and on forehead to erase years from your appearance. Is this really working? I suggest you watch my YouTube video where I apply this product "life on camera" to see the results! 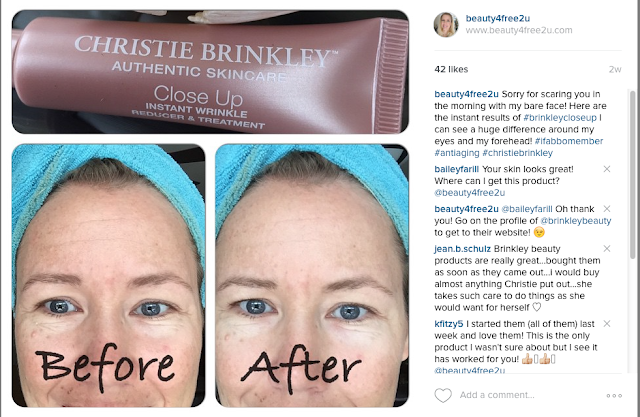 When I received this product I tried it right away out and posted a before and after pic on Instagram. 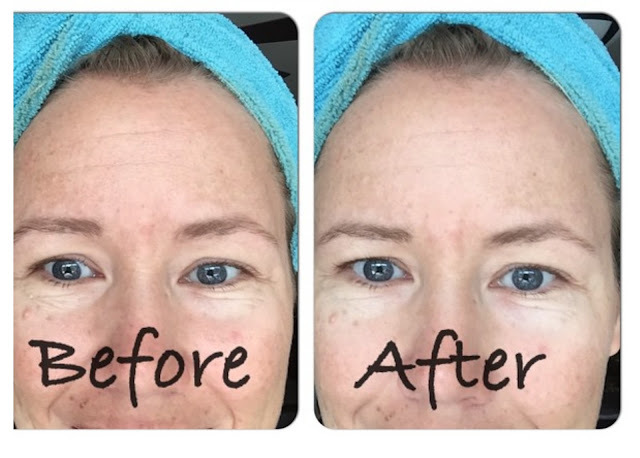 Yes, after only 1 minute I could see a blurred effect, smoother wrinkles, less pore visibility, less puffiness and it even got rid of some purple colors under my eyes! Christie Brinkley actually thanked me personally for this photo lol! You can use your favorite moisturizer under this product (I only used the Ecco Bella eye cream)- just make sure that it dries completely before applying the Christie Brinkley Close up. 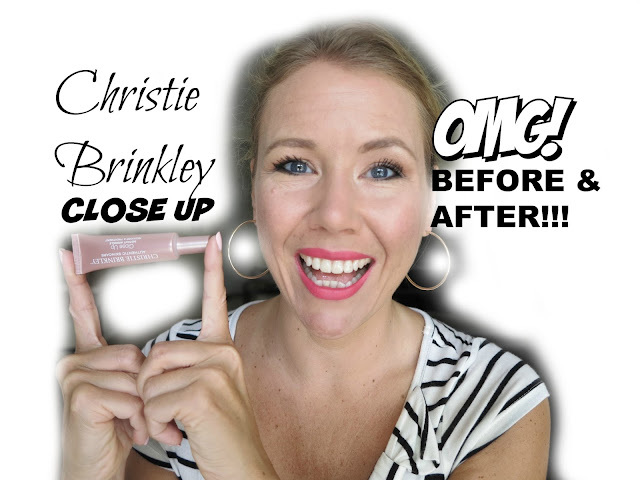 Once you apply the Christie Brinkley Close up (first in circular motions, then dab it in) you need to wait again until it dried before you apply a foundation. Does it work with Foundation? I did find that a foundation will minimize the positive effects a little and so my preferred method is: apply first the foundation on my face and then mix on the back of my hands some foundation (the It-Cosmetics CC cream works great) with a drop of Christie Brinkley Close up and apply them directly with a concealer brush under my eyes. This way I get the coverage that I want and the full effect of Christie Brinkley Close up. 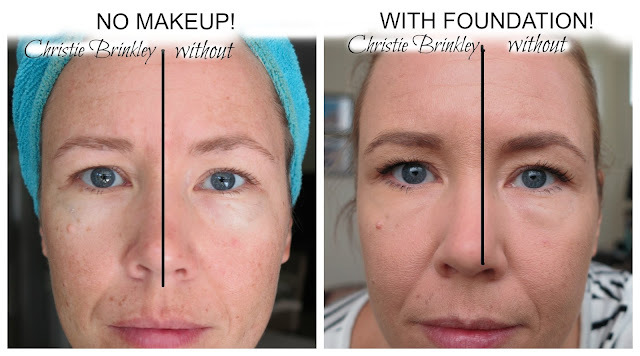 I did not notice a difference on my forehead wrinkles and noticed that the foundation will settle into the lines when I used Christie Brinkley Close up. I personally prefer now to use this product only and specifically under my eyes- and a tiny bit on my lids to diminish the wrinkly look there too. You can clearly see on these photos how swollen and purple and "old" my right eye looks. The left side looks so much better! On the left photo I wear no foundation and on the right photo I wear the It Cosmetics CC cream. This is actually working fabulous! 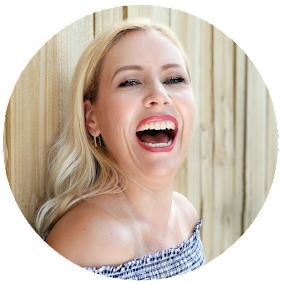 It does not change it´s consistency (like other instant wrinkle reducers do- for example the Elf wrinkle refiner changes and is not working with makeup at all). The Christie Brinkley Close up is super easy to work with and gives me instantly for many hours a more youthful appearance! Wrinkles, pores, fine lines, puffiness- all gone! Try this out for yourself! 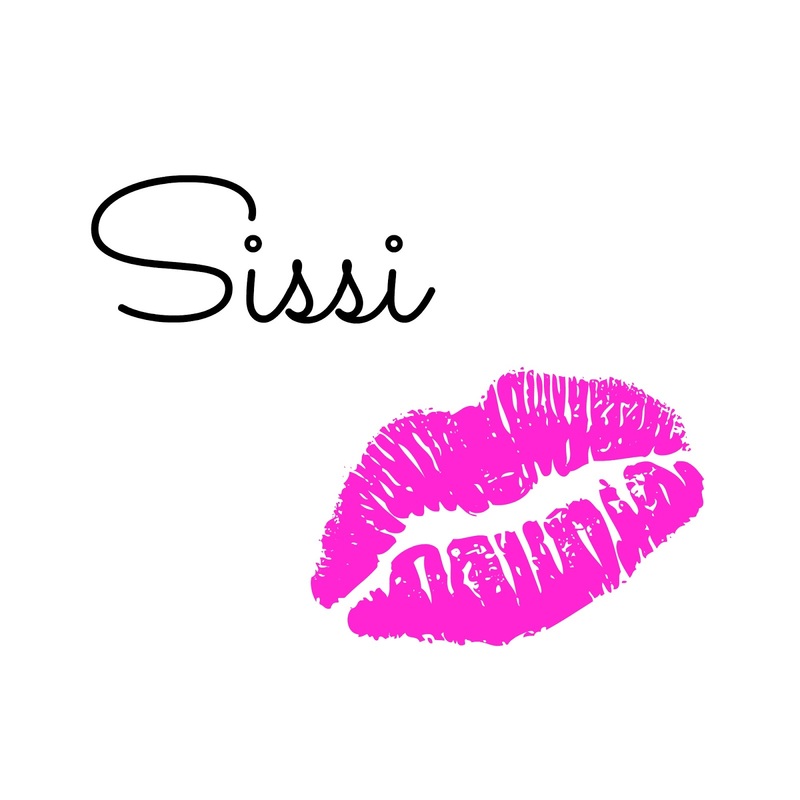 Christie Brinkley was so nice to offer 1000 readers a free sample!